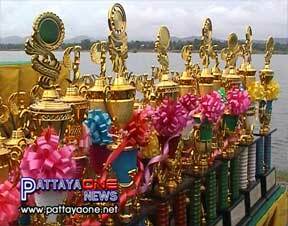 Pattaya - Maprachan Reservoir Fun Run announcement. Thread: Pattaya - Maprachan Reservoir Fun Run announcement. Maprachan Reservoir Fun Run announcement. On a wet and windy Wednesday, Khun Mai, the Mayor of Nongprue held a press conference to announce a Fun Run to commemorate the forthcoming Birthday of Her Majesty the Queen. The fun event will take place on 9th August. The run will begin at 3.30am and will be held around the Maprachan Reservoir. The race distance will be 10.5kms and those who are interested in taking part will be required to pay a 200 Baht entrance fee, although students are free. The money raised will be used to purchase equipment for the Nongprue Public Health Department. Registration will take place on 8th August at the Nongprue Municipality Office or one hour before the event begins on 9th .